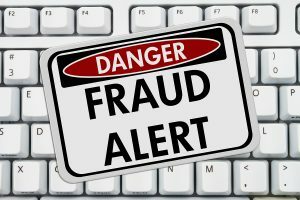 Fraud is extremely toxic for merchants who use online credit card processing. Any fraudulent transaction will cost extra money, in addition to lost revenue from selling the product, but too many of these transactions can have even more dire consequences. Some merchants may be re-classified as a “high risk” if there are too many fraudulent charges on an account. Credit card processing companies have a protocol they use to show merchants what to look for when they process transactions. When the card is present, be sure you swipe the card at the machine. Do not key the card number into the system if you can avoid doing so. Check with your credit card processor as well, they may not allow key-ins without phone approval. Although this takes longer, it’s actually a good thing for your business and bottom line. When people check their bank statements, they are more likely to ask for a charge back when the merchant credit card processing doesn’t use a clear descriptor. Try to use a descriptor for your company name, or something that describes what the user likely bought from you or your store. These identifying details help customers learn what purchases they made, and substantially reduce the risk of an accidental chargeback. There are warning signs you can spot in person, such as checking ID or reviewing the expiration dates of cards, but online is trickier. Online, where the card isn’t necessarily present and not easy to identify, requires a different protocol. Transfer your payment processing services to a more secure server, and pay close attention when you’re reviewing purchases. Charge.com Payment Solutions, Inc. has a low-cost guarantee and has been rated the number one merchant provider for six years in a row.